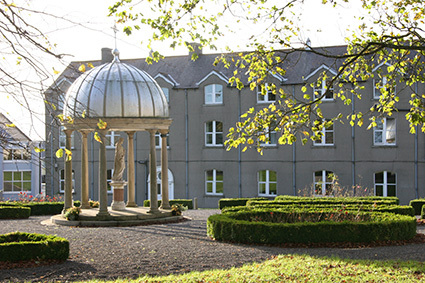 One of the first acts of Bishop Daniel Delany – the Founder of the Brigidines, was to establish the Confraternity of the Blessed Sacrament in Tullow in 1783. Devotion to the Blessed Sacrament, which he had imbibed in France, was the ruling passion of Daniel’s life. He saw the Confraternity as a means of spiritual formation. In 1784 he surprised everyone, and shocked many, when he announced a public procession through the town of Tullow on the feast of Corpus Christi. This was something of a subversive act as no such display of Catholic faith had been seen in Tullow for at least a century. Hundreds of people flocked from all over the country to join the procession. Other processions gradually became widespread throughout the diocese. Each year such a procession is still held by parishioners through the streets of Tullow, Ireland.